Dr. Sherry McAllister, Executive Vice President for the Foundation for Chiropractic Progress, discusses the realities of pain management and opioid addiction as well as drug-free pain management options such as chiropractic. Chiropractic celebrated it’s 123rd birthday in the U.S. on September 18, 2018. Sherry McAllister, DC, M.S. (Ed) CCSP, serves as the executive vice president of the Foundation for Chiropractic Progress (www.F4CP.org), a U.S. not-for-profit organization educating the public about the benefits of chiropractic. Dr. McAllister earned her Master’s in Education from the University of California East Bay and is a graduate of Palmer College of Chiropractic West, where she taught as an associate professor. She has served as a qualified medical examiner, expert chiropractic witness for the State of California, and has been in private practice in San Jose since 1996. Neal Howard: Hello and welcome to the program. I’m your host Neal Howard here on Health Professional Radio, thank you for joining us. Our guest is Dr. Sherry McAllister, Executive Vice president for the Foundation for Chiropractic Progress and she’s joining us here on the program today to talk about some of the realities of pain management and opioid addiction as well as some drug free pain management options such as chiropractic. Welcome to the program Dr. McAllister, thank you for taking the time. Dr. Sherry McAllister: Thanks for having me. Dr McAllister: That’s correct Neal. In fact, I have a private practice and have been in private practice in San Jose, California for the past 21 years. Neal: And I also understand that you are a CCSP. Explain to our listeners what a CCSE is. Dr McAllister: Sure. That is noted as a certified chiropractic sports physician, it’s just an extra program that doctors of chiropractic will go through to really get more fundamental hands-on experience when they’re treating athletes, either on the field or off the field. Neal: Are you specializing in sports pain management or do you just take all comers regardless of whether it’s a sports injury? Dr McAllister: I have two adolescent young boys so I decided that I’d have to get more in tuned with the chiropractic sports physician side because they’re very active in their athletic endeavors. However, my private practice is family practice so I see a range of ages and different issues that come in my door, so it’s a variety of opportunity to serve the community. Neal: How long is chiropractic been around? I mean we’ve all heard of chiropractic but how long has it actually been around and recognized? Dr McAllister: Well not many people are actually aware that chiropractic has been around for more than a hundred years. In fact, it just celebrated its 123rd birthday on September 18th and the first license was issued in 1913. Around about 1931, a total of 39 states have provided legal recognition to doctors of chiropractic and today, all 50 states officially recognized chiropractic as a healthcare profession and it’s also recognized in many other countries such as Canada, Mexico, Great Britain, Switzerland, Australia, Japan. So it’s a global profession and serves a variety of people in those particular states and areas. 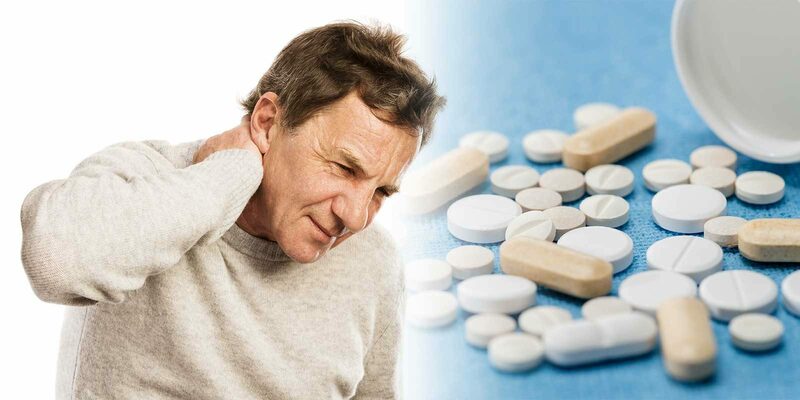 Neal: As a doctor of chiropractic, let’s talk about pain management. When you’re seeing your patients in your family practice, are most of your patients coming in because of actual pain or because of just feeling that something’s not right? Is it always about pain when it comes to chiropractic? Dr McAllister: Well for the majority of patients, they are coming in because they’re sensing that like you just said, something isn’t right or they’re experiencing pain. Sometimes it’s radiating down their legs, sometimes it’s a headache but typical complaints that I see range mostly low back pain, neck pain, pain in the joints, the extremities, they’re not really sure what to do about it. There’s may be pain radiating into the fingers and oftentimes the patient will complain of headaches so there’s a variety of what I classify as neuromusculoskeletal. For your audience, that most of them will know that’s the nerves, the ligaments, the muscle and the joints. We look at the bones and the alignment but a lot of them are coming in sometimes in a great deal of pain or their friend encouraged them because they’re just not feeling right or maybe they’re an athlete and their performance has declined and they’re not really sure what specifically is happening in their life. Neal: Now when it comes to sports management, I mean you’re specifically trained in spinal diagnosis and spinal health and well-being, right? When it comes to sports, isn’t the potential for serious spinal injury increased by a great deal and how much different do you have to manage pain using chiropractic with sports medicine as opposed to lower back pain simply from repetitive movements say a at a job or from age? Dr McAllister: Sure. Their sports injuries obviously are more acute, that being had acute pain is something that is traumatic usually, for example, an athlete on the field could injure their head and create all sorts of neck and spinal problems so the severity can oftentimes go up with an athlete versus someone who’s coming in, they’ve had some improper ergonomic situations occurring in their work … and that particular injury, well it’s still an injury is not a severe so the cases will be triaged accordingly to what exactly was the mechanism of injury and the doctor has the responsibility to appropriately diagnose the injury and then ask for any special testing that are necessary for the mechanism of injury that’s caused the problem. So for example, if it was a major head injury, the doctor may in fact start with an x-ray depending on the severity of it. It may go to a CT scan or an MRI and that they would refer the patient too so it is dependent obviously on the history for the patient and how that came to their office in regards to that. Neal: So would you say that these injuries, whether sports related or not, with all of us hearing about the opioid epidemic, obviously drug related or prescription pain management has been the go-to. How is chiropractic combating this epidemic as it were of opioid use with pain management in a drug-free way? Dr McAllister: Sure. We know obviously the epidemic is very difficult to deal with and there’s a there’s a variety of ways of looking at how to assist those. And unfortunately, every 19 minutes someone in the United States dies from an unintentional prescription drug overdose and it looks like things are going to be getting worse according to a lot of the … before they get better and really the goal for the chiropractor is to try to be proactive rather than reactive. Meaning, that we’re trying to get our healthcare professionals to really understand the goal of chiropractic in neuromusculoskeletal pain. How do we take a patient that has an injury, that’s suffering and not give them a painkiller which oftentimes just masks the problem? And that’s one of the key areas that chiropractors are very good at identifying is where is the cause of the pain? And then how do we help that patient to improve? And chiropractors are really quite good at diagnosing and then appropriately treating without pharmacological aid, that then sets them in the motion on the right path. If they’re a failed chiropractic patient, they could then go to a pharmacological agent but according to one of the recent Gallup Palmer College of Chiropractic reports, 78% of them in Americans actually prefer to try other ways to address their physical pain before they take that medication so that’s a big part of learning to deal with pain by understanding the cause and then trying to relate back to that cause, what some of the benefits that chiropractic care can offer the individual. Neal: Well we’d like to learn some more about chiropractic, maybe some of our listeners are interested in becoming a doctor of chiropractic. Where can we go online to get some more information about what you do and about well the history of chiropractic in general? Dr McAllister: Well we have a large database that we love people to come visit. I recommend, if you’re a healthcare provider and you’re looking for more information about chiropractic or you’re looking into a career on chiropractic, come visit our website. The Foundation has some information that will be helpful for those that maybe are looking just to get help or healthcare providers looking to be able to refer to a chiropractor. I think it’s very important to have that collaborative opportunity and discussion that needs to happen for the patient’s sake. Our website is www.f4cp.org and if you are looking for a healthcare provider to refer to or you are a chiropractor yourself, you can go on to that website at www.f4cp.org/package/doctorsearch and there’s a lot of doctors out there in chiropractic that are looking to assist you in a non-pharmacological treatment way to improve your health, get you back more flexible, if you’re looking into your sports, get more balance, coordination and then prevention of any injuries that might be something we look at to just aid you in a better life for many Americans. It’s not just looking at the pain, it’s looking at function and wellness. Neal: Dr. McAllister, it has been a pleasure speaking with you today. Thank you so much for joining us here on Health Professional Radio. Dr McAllister: I appreciate your time Neal, thanks for having me. Liked it? Take a second to support Nichol Macaraeg on Patreon!